I found this program the other day….it follows every movement of your mouse for as long as you have the program running. 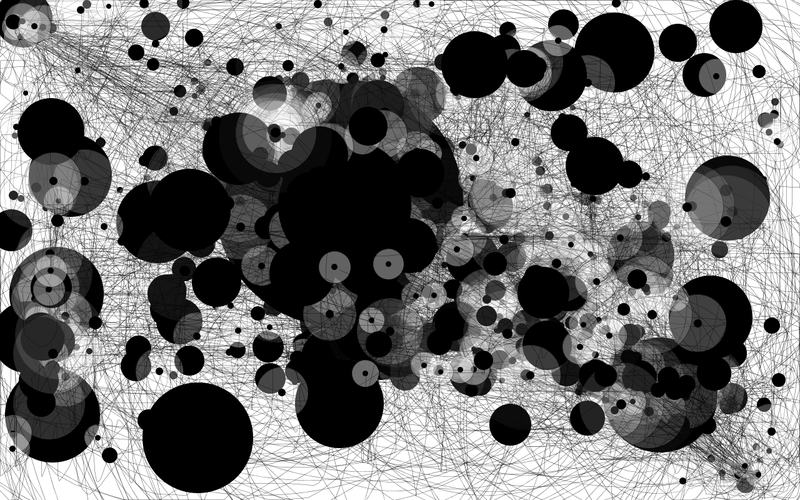 A black spot is a place where the mouse stopped, and the larger the black spot, the longer the mouse stood still. This is what 9 hours of a computer based class looks like on my computer….and you can tell that I run an Apple computer since the majority of the lines run from the top left to the bottom right. We could use this as artwork in the house!